White House to Seek Direct Talks with the Taliban The US President Donald Trump’s administration has told its top diplomats to seek direct talks with the Taliban, a significant shift in US policy in Afghanistan, done in the hope of jump-starting negotiations to end the 17-year war, according to a New York Times report. The United States is preparing to undertake a review of its strategy in Afghanistan, US officials told Reuters, a year after Trump begrudgingly agreed to extend America’s involvement in the 17-year-old war. The Taliban have long said they will first discuss peace only with the Americans. But the US has mostly insisted that the Afghan government must take part. The shift to priorities initial US talks with the Taliban over what has proved a futile “Afghan-led, Afghan-owned” process stems from a realisation by both Afghan and American officials that Trump’s new Afghanistan strategy is not making a fundamental difference in rolling back Taliban gains, according to the Times report. While no date for any talks has been set, and the effort could still be derailed, the willingness of the US to pursue direct talks is an indication of the sense of urgency in the administration to break the stalemate in Afghanistan, Net York Times reported. Not long after he took office, Trump reluctantly agreed to provide more resources to his field commanders fighting the Taliban, adding a few thousand troops to bring the US total to about 15,000. But a year later the insurgent group continues to threaten Afghan districts and cities and inflict heavy casualties on the country’s security forces. Providing more authority to US diplomats, a move that was decided on last month by Trump’s national security aides, is seen as part of a wider push to inject new momentum into efforts to end the war. 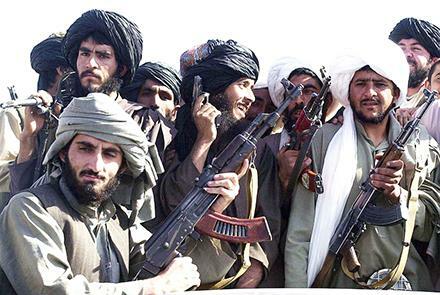 The Times reported that over the past few weeks senior American officials have flown to Afghanistan and Pakistan to lay the groundwork for direct US-Taliban talks. Secretary of State Mike Pompeo briefly visited Kabul, last week, and Alice G. Wells, the top diplomat for the region, spent several days holding talks with major players in Afghanistan and Pakistan.